Small business advertising is one of those skills that are easy to learn but difficult to master. Market trends shift at neck-breaking speeds and people hop from one fad to the next. While this may be overwhelming, staying true to the business core is always the key. Making most, if not all, of your customers satisfied, will always trump over any other gimmick you may want to pull up from your sleeves. But before you do all that you would want to make them come to you first, make your company image smell fragrant to them. Incentivizing would-be buyers and patrons can be a good way to start but, of course, you wouldn’t want to stop there. If you want to generate more leads for your email campaign, you got to be creative. 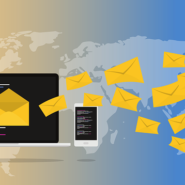 Now, we’ve covered how to do this very briefly in the past few months in an article about growing your email campaigning list and so, today, we’d like to cover a few things more that might help you along the way in securing potential and returning customers. We mentioned in the last article that creating bonus content for loyal customers can increase customer satisfaction and can generate interest from more people. You can reinforce this tactic by presenting an online contest to your site visitors. Make it a point to the people who follow your company that not everything you have can be obtained behind a paywall. Have them register their email to your database and give them a chance of winning cool prizes. This way, your email list grows a bit longer. This could mean an in-person get together for all the people who support your company or even a free webinar to all those interested to learn what your company is all about. These fun and educational meet-ups can spark some sense of community for your company and can be a building block to creating a strong fan-base. Attendees can even learn a new thing or two from the thought leaders and industry icons you may want to invite in your party. Just don’t forget to make them sign in with their emails. If there is one thing people like to talk about it’s about themselves. Keep your lines open in the social media and in your website to listen to what people have to say about their own personal experiences with your company. Though, you have to keep in mind that this is the Internet and not everyone will be as polite as we want them to be. There are also some who have just simply have a lot of time in their hands and don’t know what to do with it. It’s important to take none of what they say personally and apply those words from people who have constructive criticism to offer. Speaking of feedback, one way of having people to get to give their email to you is by sending out lead capturing forms that are beneficial to your data mining efforts. You can sneak these forms in ways you see fit and can be creative about it, but one point we’d like to make is you don’t want to overwhelm the person you’re asking information from. Keep the questions that need answers to a minimum or you’d risk giving the potential customer the hibie-gibies. Though you do not have fraudulent intentions, the responder may just feel that way. Use the forms as a way to open up a conversation rather than a means to siphon data to your info bank. To keep up with a game you need solid social media marketing strategies. We already touched upon making call-to-action remarks in your Youtube videos, encouraging people to like, share and subscribe to your company’s channel. It doesn’t take much but it does a lot in spreading awareness about your channel and your company. A good way to reinforce this action is by placing “end cards” that are linked directly to your company website. End cards are those little boxes you see at the corner of the screen a few seconds before a Youtube video ends. Placing these increases your chance of more website traffic.